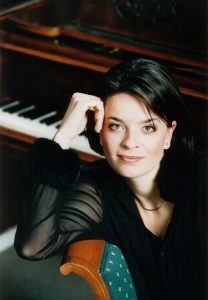 The focus of Jitka Čechová’s repertoire is on works by the Czech composers – Smetana, Dvořák, Janáček, and Martinů. 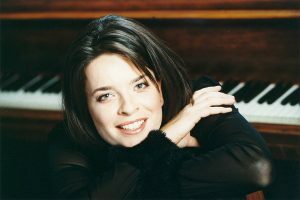 The focus of Jitka Čechová’s repertoire is on works by the Czech composers – Smetana, Dvořák, Janáček, and Martinů. 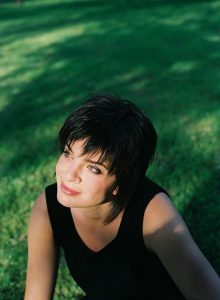 She has given two concerts consisting of works by Smetana at the world-famous Edinburgh Festival in Scotland. Zdeněk Lukáš dedicated his Third Piano Concerto to her, which she premiered with spectacular success during her concert tour of Germany with the Symphony Orchestra Südwestfunk (cond. Petr Altrichter). 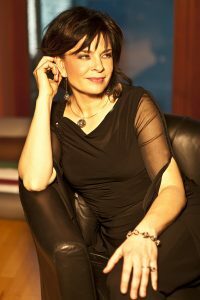 Jitka Čechová has made a number of recordings for the labels Intercord, BMG, Lotos, and Cube. In 2014 – in the year of Bedrich Smetana´s jubilee – she finished her recording of the complete piano works by Bedřich Smetana for Supraphon (8 CDs), a project that has collected awards by major music critics and magazines both at home and abroad – Diapason, Répertoire, International Record Review, and Harmonie. Recently she made a recording of all three piano concertos and concertino written by Josef Palenicek in the cooperation with the Czech Radio Symphony Orchestra (cond. Ronald Zollman and Stanislav Vavrinek). Presently she is cooperating on the large project of the complete sonatas recordning by Domenico Scarlatti for the Czech Radio.